TRACKS (TRent Aboriginal Cultural Knowledge and Science) is an educational program which provides hands-on experiences for youth interested in the intersections of Indigenous and western sciences. TRACKS is based out of the Indigenous Environmental Studies and Sciences Program (IESS) of Trent University, under the umbrella of the Kawartha World Issues Centre and supported by First People's House of Learning. TRACKS consists of two distinct but connected programs: Outreach & Education and Oshkwazin Indigenous Youth Leadership Program. TRACKS Outreach & Education runs a wide variety of educational programs throughout the calendar year for Indigenous and non-Indigenous youth in grades K-12. 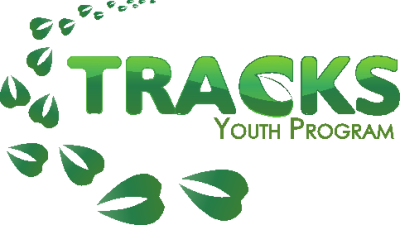 TRACKS Oshkwazin is a leadership program for Indigenous high school aged youth, providing them with valuable training and leadership development opportunities. During the month of June, TRACKS will be offering a new fun & active field trip opportunity for teachers and students in JK to Grade 8! Click below for descriptions of workshops we typically run for schools and camp programs. Invite us into your school, or if you are looking to deepen your TRACKS experience, consider booking your class for a half or full day program at Trent University, where the wetlands, labs and tipi are our classroom! On May 23rd, TRACKS Oshkwazin will be holding it's first End of Year Land-Based Storytelling Panel. Open to all high school aged Indigenous youth in Peterborough and surrounding area. TRACKS is supported by the Kawartha World Issues Centre (KWIC). KWIC is a charitable Global Education and Resource Centre which promotes dialogue and understanding of world issues to enable people to engage in positive social and environmental change. Since 1989, KWIC has served Peterborough and the Kawartha region by organizing educational events and workshops, animating youth-led initiatives, facilitating working groups, supporting community research projects, internships and placements and sharing resources. Please visit KWIC to learn more. My students learned that the land is important, and that they will need to take better care of it. They learned to not be fearful of the forest, and reach for their dreams. It was very enjoyable and informative not only for the kids but for me as well. They were actively engaged, and therefore learned a great deal. All the best to the people at TRACKS! Science is fun! First Nation storytelling includes the first fruit of the season (strawberries) and important teachings such as love, forgiveness and honesty. I think the different perspectives presented drove the message home. I would like to see the other workshops- they all sounded amazing! Our son loved the camp and each night came home with stories of what he had done that day. We noticed that he had hung cedar over the doors, as he took to heart and mind the teachings and related them to his personal life. For him to be affected in such a short time is phenomenal. I was so impressed with the thoughtfulness and anti-oppressive approach to the camp. This is very unique- I hope you will share your approach with others who lead youth programming. The experience of being immersed in a community of exploration and dialogue was very valuable for my granddaughter. Thank you for the wonderful camp experience!